What home projects are you planning this spring? The arrival of spring is a great time to get inspired about home plans. 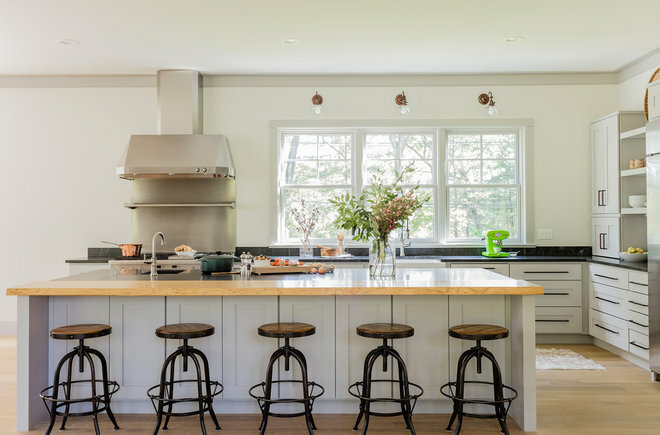 It’s when we tend to launch into remodeling projects, tend to our gardens, freshen up our decor and dive into deep cleaning and organizing projects. Will You Start a Remodeling Project This Spring? Does spring mark a groundbreaking moment at your place? Will you be doing a kitchen remodel, gutting that 1960s bathroom or building a new patio with an outdoor fireplace? What Are Your Gardening and Landscaping Plans? In Atlanta, where I live, the flowers (and pollen) have arrived, and it’s a terrific time to plant new trees, shrubs and perennials. 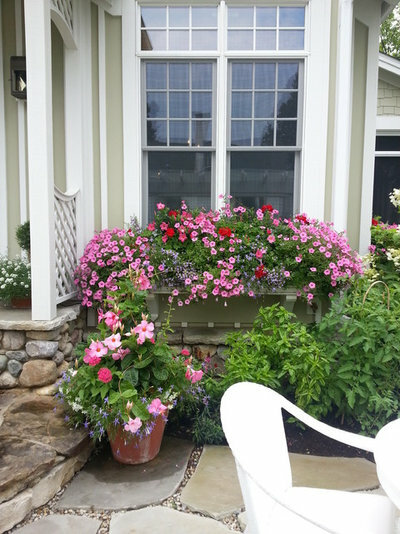 But even if your yard is still buried in snow, you may be sketching out a new flower bed, ordering vegetable seeds or choosing planters for the porch. How Are You Planning to Refresh Your Decor? Putting away heavier bed linens, changing out throw pillows and rearranging furniture for a fresh look are a few ways to lighten up your home for the warmer months ahead. 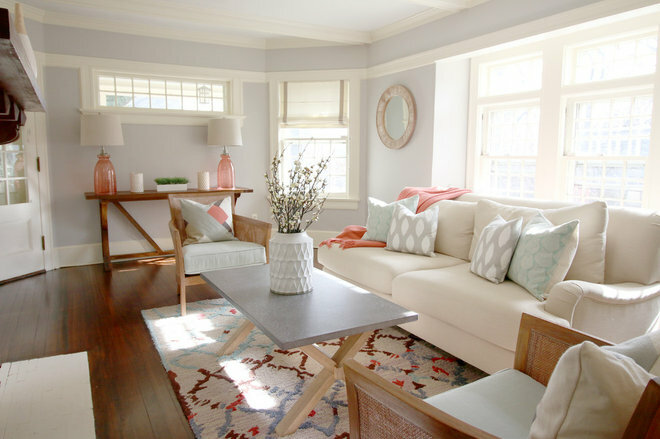 What kinds of decor swaps do you plan to make this spring? What Maintenance Jobs and Repairs Need Attention? Spring is a good time to put on your “estate manager” hat and reach out to service pros to tackle maintenance and repair projects such as gutter repair, air duct cleaning and chimney sweeping. What’s on your must-do maintenance list? 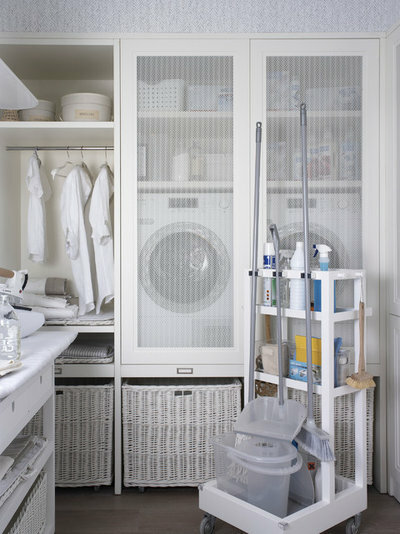 Will You Be Doing Spring Cleaning and Organizing? Spring is a great time to tackle often-neglected cleaning jobs. 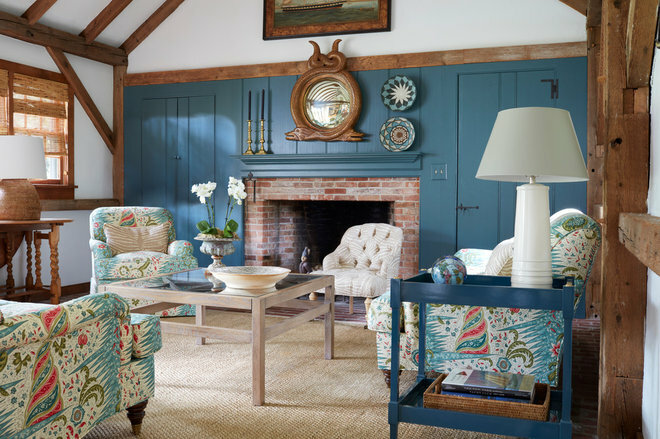 I like to follow Houzz contributor Laura Gaskill’s monthly home checklists for a guide. Or you may be planning to revamp your home office filing system or reorganize your garage. What spring cleaning and organizing projects do you have planned? I need to do some minor landscaping by extending a garden bed and connecting it to another around a patio that we finished last summer and planting some ground cover in the new area. I was planning on using creeping phlox in that location with a couple of stepping stones to make it easy to get to the lawn. (We just don’t want to edge a lawn next to the new patio) I also have to plant some bushes in another bed I just extended last fall. We might have to chop down a tree, we know it has been affected by emerald ash borers, but we don’t know how much worse the effects of their damage will be this year compared to last year. It’s such a shame, that tree was a beautiful focal point of our yard when we bought the house seven years ago, it’s right next to our mailbox. My hubby is also planning on repairing windows this year and that will likely be our big project for the year. We are having a backsplash installed in our kitchen in 2 weeks. We installed new granite countertops 2-1/2 years ago, and we had made arrangements for a tile installer to come to estimate the backsplash. He renovated a bathroom for us and did a beautiful job on the tile work so we really wanted him to return. Well, 2 years later we are still waiting for him to call us before he stops over to give us the estimate!! So we moved on. We are having the entire interior of the house painted, so we have bought new lighting for kitchen, dining room, family room and foyer. I shopped for a couple of months on-line and bought each light when we had the extra cash in the monthly budget. After the paint is completed, we are having a new kitchen floor installed. Also, if we feel like doing it we will restain our deck, if not we will have someone come to do that as well. Lots going on. Hopefully it will all go smoothly. Every year I break down the house projects by season – at the end of the year I have usually checked off everything we planned on during the year.